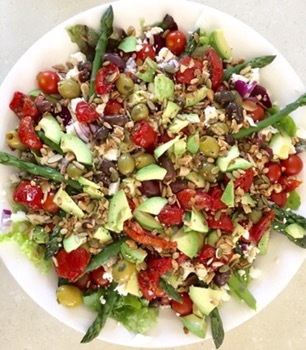 Five Beans Food’s very impressive salad post this week has inspired me to post again about easy ways to create delicious and exciting salads, just in time for the holidays! Do check out Five Beans Food’s Salad Friday – a Feast of Salads for some brilliant ideas. And do you remember Great quick and easy mix and match salad idea that wows? What’s your top salad tip? Love salads in summer! Thanks for sharing the link, Michele.